Hi everyone. Here's my thread of 2e conversions, character creation and fight examples, original builds, and other resources. I have mainly PC builds (built on 15 pp/PL and designed so you can use them as balanced starting characters). I also have an M&M 3rd edition/DC Adventures thread. If you want to use any of these builds (or modified versions thereof) as PCs or NPCs, go right ahead! No need to ask, my builds are there to be used. Comments welcome! Note that my builds list a character's Defense score, which is 10+ Defense bonus. My Official Rules Question index, which has links to many of M&M designer Steve Kenson's answers in the Official Rules Question Forum. Paragon's excellent thread on balance issues in the PL system. Read the first two posts, and the examples linked at the end of the second post, in particular (it's quite long). Note: Hyborian has turned all of these builds into a 2 MB pdf file. Note: Hyborian has turned all of these builds into one 3 MB pdf file. What's an appropriate/challenging fight for your characters? This is a system along these lines meant for 2e, and a discussion of issues that can arise. This system should generally work similarly in 3e, though minions may need to be reevaluated (Takedown 2 in 3e makes them absurdly easy to incapacitate). The 2e "damage roll" and "players make the rolls" options in the Mastermind's Manual are in need of errata. Here's one way to fix them. How to do a 3e damage roll. What are my chances? : some basic stats on fights between characters of different PLs. Notes: I intend to create conversions that work well in the M&M system and that people can use in game, either as NPCs or PCs. I'm not trying to get the most accurate or up to date conversion of a character- I'm trying to get the one that's the most fun to play in M&M, which involves getting the feel of the character right and making sure that the character is appropriately powerful. For PC builds, I'll re-envision the character as necessary so the build ends up at 15 pp/PL. How many pp do the NPC builds cost? I usually don't keep track, which makes my life much easier. Remember, how many points you spend doesn't matter for NPCs. I am using the powers section from Ultimate Power and occasional rules from other Green Ronin products. I'll mention most of the Ultimate Power specific content and almost everything from other products. If I have any new abilities in a build, I try to put them in italics and later say what they do (for example, Spider-Man's Ultimate Defense feat). Thanks to Taliesin, MDSnowman, and Baron in particular for their excellent conversions, which I draw inspiration from. 1) Trading off offense for defense (or vice versa). For an NPC, I compute offensive PL and defensive PL separately and average them to get overall PL. I'll make a note of it if offensive PL doesn't equal defensive PL on a build. For example, if an NPC Cyclops was PL 11 on offense and PL 9 on defense, I would average out and make him PL 10. PL is descriptive for NPCs (my explanation of PL and its meaning for PCs/NPCs), and this is an improvement in the accuracy of an NPC's PL over the RAW method, which is to base PL on an NPC's highest PL limited trait. This can lead to problems when a villain with PL 12 offensive abilities has PL 8 defensive abilities (or vice versa); he's significantly weaker than his listed PL suggests. Last edited by Elric on Tue Mar 20, 2012 5:17 pm, edited 278 times in total. Notes: Here's Captain America as a PC at PL 11, 165 pp. 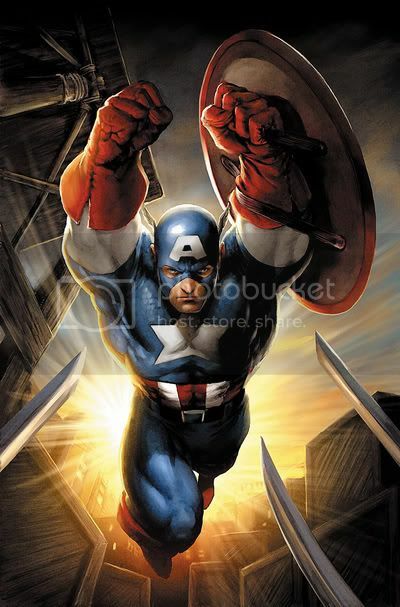 Captain America is the best leader in comicdom with Master Plan, Inspire 5 and Leadership. He beats up minions like nobody's business and has a ton of useful feats and skills. Note that Steve has said that you should add Acrobatics to your jumping distance before multiplying for Leaping (see here). Note that in Ultimate Power maximum range is separate from Range Increment for a power- a power's maximum range is rank x 100 feet, and Improved Range only makes the ranged increment better (the Progression feat makes the maximum range itself better). Targeted Area is from Ultimate Power- it means that you have to roll to hit (one roll against everyone in the area of effect), you can't critical, and there’s no Reflex save for half effect (the attack roll replaces it). Improved Range Disarm is from the Mastermind's Manual and negates the attack roll penalty for disarming with a ranged attack. Ultimate Defense is a feat I invented, but it’s really just Luck Control 1 (Force Rerolls; Limited 2 [only attack rolls, only attacks rolls against you]) (1 pp) taken as a feat. Ultimate Defense: After an opponent rolls an attack roll against you and hits (but before you resolve the effects of the attack), you may spend a hero point to force that opponent to reroll the attack roll, taking the worse of the two rolls. Last edited by Elric on Sun Jan 17, 2010 1:59 pm, edited 21 times in total. Notes: Here's Ms. Marvel as a PC at PL 11, 165 pp. 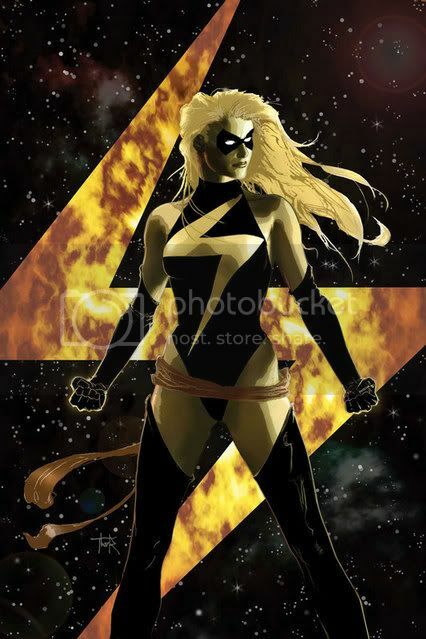 This is the Carol Danvers version of the character, with powers based on her current abilities as an energy controller. Simple and effective. Last edited by Elric on Tue Jan 29, 2008 4:36 pm, edited 6 times in total. Notes: Here’s Daredevil as a PC at PL 9, 135 pp. Daredevil may be “street-level”, but he’s a very strong PL 9 character. Ultimate Defense is a feat I invented, but it’s really just Luck Control 1 (Force Rerolls; Limited- only attack rolls, Limited- only attacks rolls against you) (1 pp) taken as a feat. Ultimate Defense: After an opponent rolls an attack roll against you and hits (but before you resolve the effects of the attack), you may spend a hero point to force that opponent to reroll the attack roll, taking the worse of the two rolls. 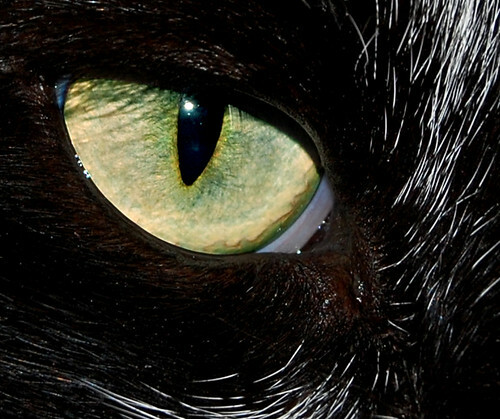 The Super-Senses are taken from Ultimate Power. As of Ultimate Power, Tremorsense should only cost 2 pp but this is listed incorrectly in the book—see Steve’s answer here. Analytical is a Super-Senses modifier there. Note that Touch is Acute by default. Analytical: Beyond even acute, you can perceive specific details about anything you can detect with an analytical sense, such as chemical composition, exact dimensions or mass, frequency of sounds and energy wavelengths, and so forth. You can only apply this effect to an acute sense. Last edited by Elric on Wed Aug 18, 2010 10:12 am, edited 15 times in total. Notes: Here's She Hulk as a PC at PL 11, 165 pp. She doesn't have the Normal Identity drawback, so in effect she can change into She Hulk whenever she wants. Being stuck as Jennifer Walters all of the time isn't as much fun as smashing things. Note that she has 1 rank of Super-Strength separate from her Super-Strength/Leaping array so that she can use Leaping and still use the Super-Strength power feats in the same round. Countering Punch is in Ultimate Power and lets you use a Strength check to counter appropriate ranged attacks (but it still takes a readied action or a hero point for Instant Counter). Last edited by Elric on Wed Jan 30, 2008 4:38 pm, edited 7 times in total. 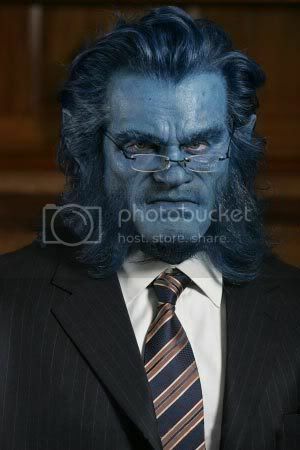 Notes: Here’s Wolverine as a PC at PL 11, 165 pp. 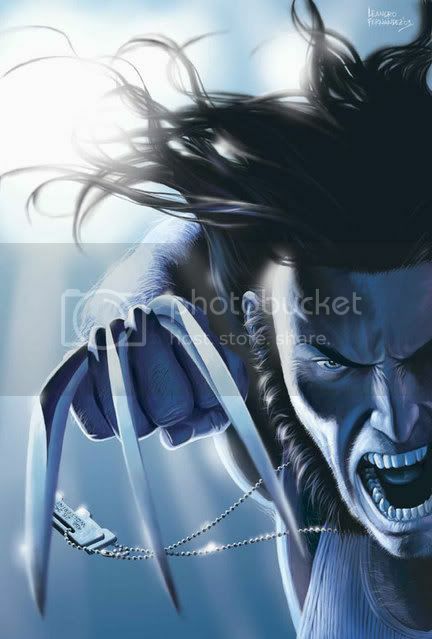 Wolverine weighs about 300 lbs due to his adamantium skeleton and his heavy load is 800 lbs. Note that the bonuses to Strength from Density don't add to Climb or Swim checks. His claws can only do lethal damage, which makes sense. Wolverine's claws are Penetrating 4, so his claws are effectively 13 damage for purposes of bypassing Impervious Toughness. His Regeneration ranks are broken down: 3 Bruised, 4 Staggered, 6 Injured/Disabled. Hopefully your GM rules that Rage that gives a +4 Str bonus can let you exceed your PL limits on offense because it also decreases your Defense by 2, as Steve Kenson suggests would be a fair house rule here. If not, drop the Rage feats and take something else (say, +1 Fortitude save and Endurance). Then just describe going into a rage when you use All-Out Attack and Power Attack at the same time. Container is from Ultimate Power and is a generalization of the Alternate Form power from the core book—a Permanent Container is mainly a way of organizing powers. Last edited by Elric on Fri Nov 06, 2009 12:00 pm, edited 21 times in total. Notes: Here’s Iron Man as a PC at PL 11, 165 pp. 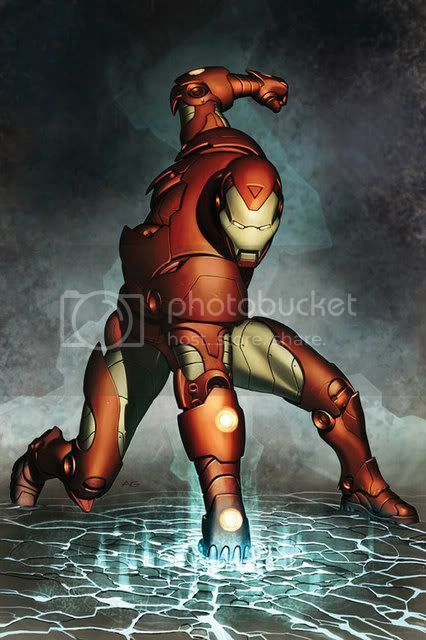 Like the battlesuit archetype, Tony’s greatest weakness is low exotic (Fort/Reflex/Will) saves. This isn’t a version of Iron Man with his armor built into his blood—figure that he carries the battlesuit around folded up in a briefcase when he isn’t using it. Speed of Thought is from the Mastermind's Manual and lets you add your Int bonus to your initiative instead of your Dex bonus. Note that Radar in Ultimate Power has been errata'd to only cost 3 pp (Radar is an Accurate, Ranged, Radius Radio Sense). One potential problem with Radar: for a battlesuit character, the battlesuit isn’t adding Radar as an innate super-sense—it’s probably just taking Radar data and using it to display an accurate picture image of everything around you (which, due to the magic of superheroes, can be interpreted alongside regular visual data at no loss in precision for either). So this means that if Iron Man fails his save against a Dazzle: Visual effect, he should lose the ability to benefit from his Radar power as well. When this comes up, call it a Complication. Last edited by Elric on Tue Feb 10, 2009 10:49 am, edited 18 times in total. 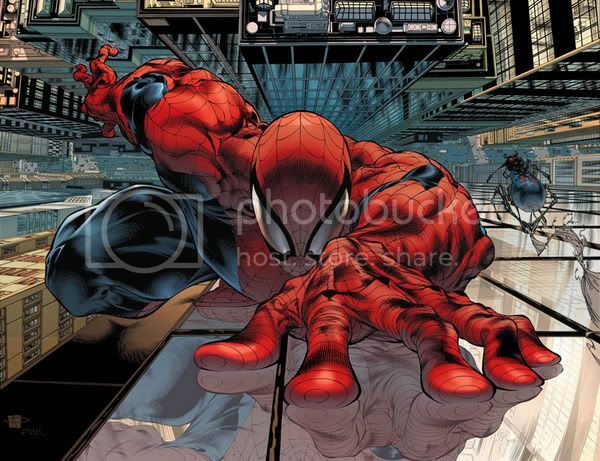 Notes: Here's Spider-Man as a PC at PL 11, 165 pp. This build represents a more experienced Spider-Man than my PL 10, 150 pp build. His technical skills in particular are quite a bit better and he’s gained the Inventor feat. 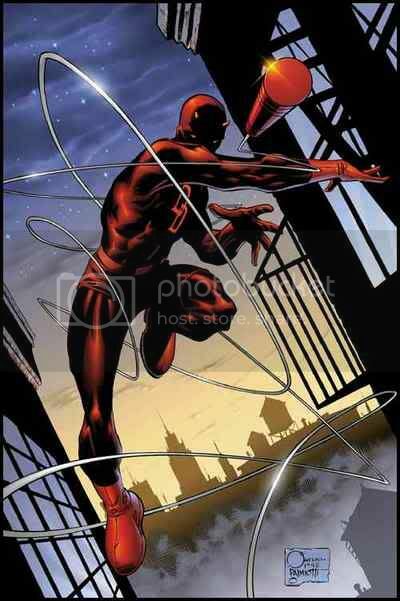 Spider-Man swings at 50 mph as a move action (Speed 1 + Speed 2 more from Web-Shooters). Note that Steve has said that you should add Acrobatics to your jumping distance before multiplying for Leaping (see here). Improved Trick is from the Mastermind's Manual and lets him use the Trick combat option with Bluff as a move action at no penalty. Note that Improved Trick only applies to one skill (see here)—adding Acrobatics would take a second application of the feat. Last edited by Elric on Thu Jan 31, 2008 4:10 am, edited 9 times in total. Notes: Here's Beast as a PC at PL 9, 135 pp. This is more of a classic Beast- no secondary mutation here. He’s pretty good in combat but he’s very vulnerable to being surprise-attacked. Beast is going to shine out of combat because of his skills. Note that Steve has said that you should add Acrobatics to your jumping distance before multiplying for Leaping (see here). Tough is from the Mastermind's Manual and adds 1 to your Toughness save. Last edited by Elric on Sat May 24, 2008 11:37 am, edited 12 times in total. as to wolvie yes speed 1 for him is not a stretch. hes alot stronger faster, and tougher with greater stamina then a normal human. and because his healing factor eliminate fatigue poisons quickly he can go all out much longer then a normal athlete could. that ebings aid 1 rank is more then suffcient. catsi563 wrote: looks good so far. Note that I have Endurance 2 and his Con to cover his being able to sprint for longer than a normal human. Speed 1 under my house rule is 10 mph (20 mph when sprinting) which isn't superhuman- just a very fast regular human. I think this is another advantage of the house rule, as it gives you a speed between normal speed (about 12 mph when sprinting) and Speed 1 (in RAW, 40 mph when sprinting). Speed 1 under RAW I don't think would be appropriate for Wolverine, but under my house rule it's probably fine. Nice thread you've got going. I toyed with the half PL's myself as I was fighting with myself on the appropriate PLs for my builds. I may even end up "borrowing" that idea as I clean up my earlier builds. Notes: You don't really have a conversion thread until you have a build of Batman, so even though he isn't an Avenger here he is. I've made him PL 11 instead of the more typical 12 but make no mistake- PL 11 Batman is certainly an exceedingly powerful character. Fast Escape is a feat of my own devising and is Quickness 3 (Limited to Escaping Restraints -2) for 1 pp, taken as a feat. It lets Batman make Escape artist checks to escape restraints at 10x normal speed (so he can take 20 in 2 minutes, or escape in a single action). Martial Strike (adds +1 to your unarmed damage) and Improved Range Disarm (which negates the attack roll penalty for disarming with a ranged attack) are in the Mastermind's Manual as are the Challenge feats. For equipment I gave him a Gadgets equipment power along with some standard equipment that he always has on him (Gadgets is in both Ultimate Power and the Mastermind's Manual). Batman use Gadgets to pull out common equipment like a Flashflight, Binoculars, a Camera, and so on. I bought Gadgets as a Hard to Lose device to represent that the utility belt can’t be disarmed. It’s reasonable that many of the items Batman pulls out with Gadgets can be disarmed. I don’t have stats for Alfred but here are two good sources for stats for him:Baron’s build andMDSnowman’s build. Thanks to MDSnowman for the Batmobile and Wayne Manor stats. Last edited by Elric on Wed Jan 30, 2008 5:43 pm, edited 5 times in total.